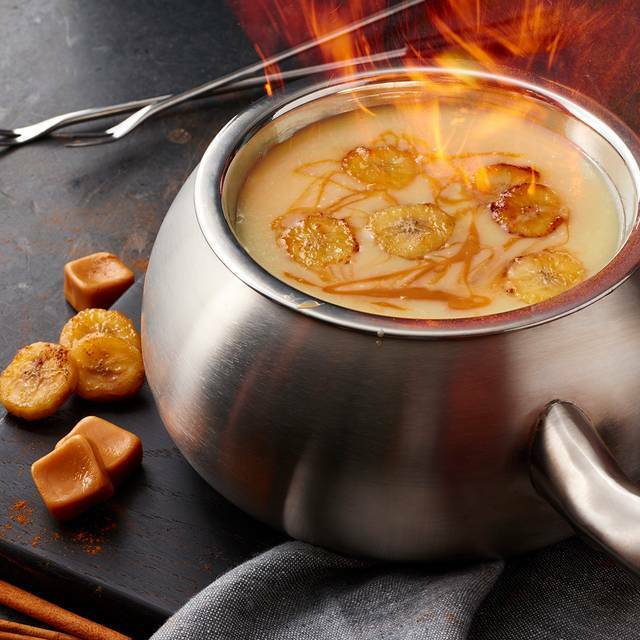 You must make reservations at least 5 minutes in advance of the time at The Melting Pot - Scottsdale. Well lit private lot in front of the restaurant. Covered parking available in the garage at no extra charge. 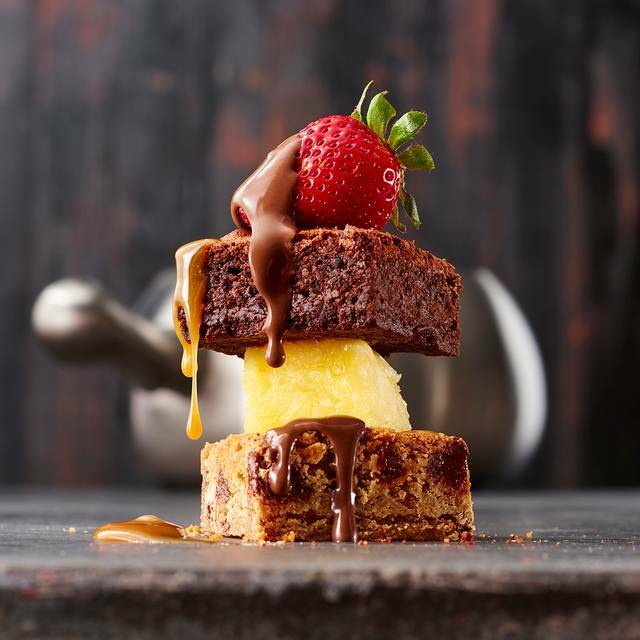 For additional details on all of the great things we're cooking up at The Pot, please visit the event section of our website (www.meltingpot.com). Saturday and Sunday Brunch coming March 9th, 2019! 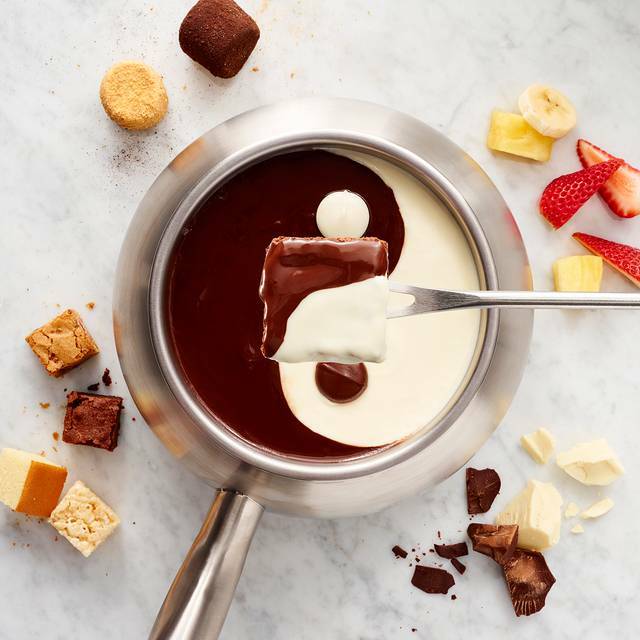 The Melting Pot is Arizona's premier fondue restaurant. 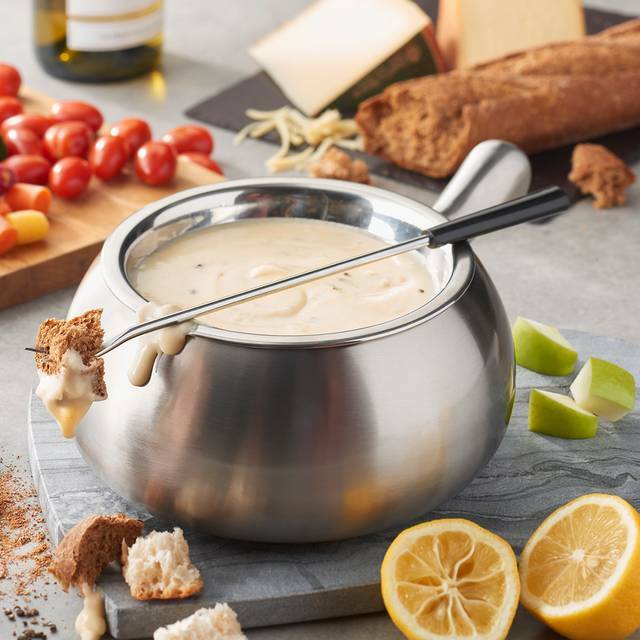 Enjoy four courses of fondue and reconnect with your friends, family and colleagues. 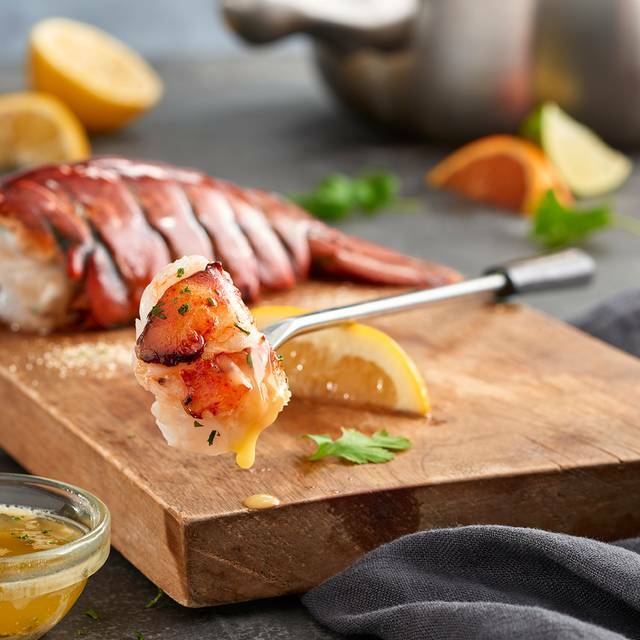 Savory cheese fondues; entrees cooked table-side that include filet mignon, lobster, and shrimp just to name a few. 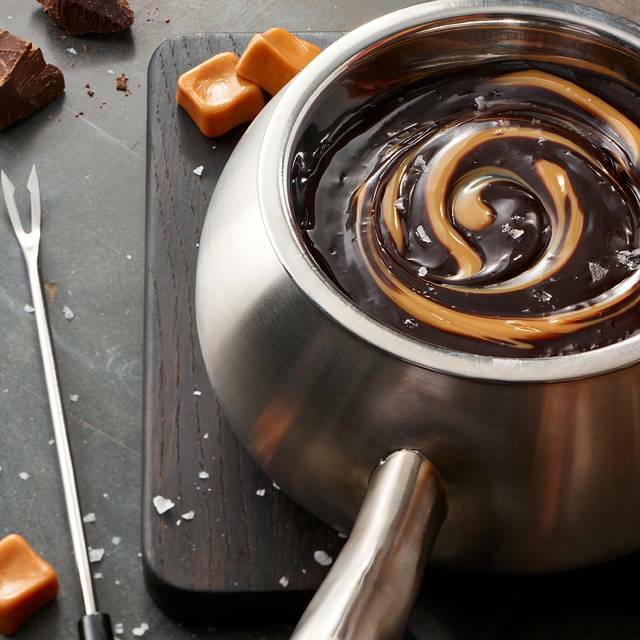 Include chocolate fondue for dessert and they all melt into a unique dining experience. The Melting Pot has a full complement of beer, wine and cocktails to enhance your dining experience. Intimate booths for two, private rooms or dining room tables are available nightly. The Melting Pot is the perfect destination for any special occasion. 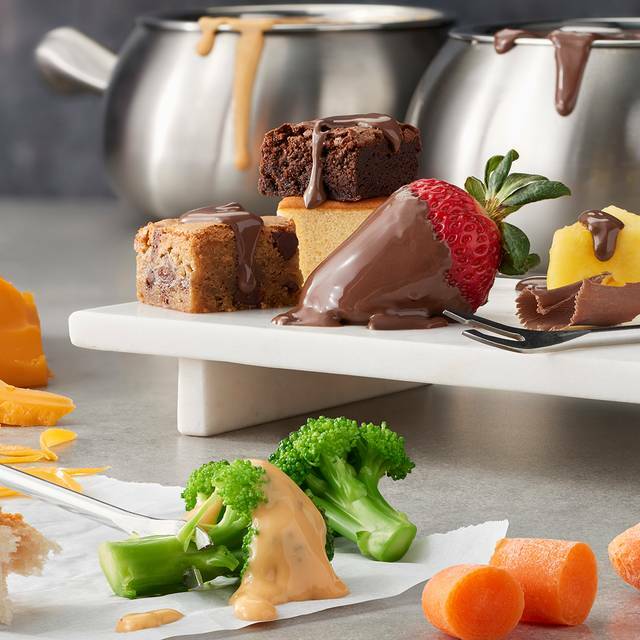 Whether you are celebrating a graduation, anniversary, birthday, or holiday party, a fondue dining experience is a unique way to create memories with your party. Reservations recommended. We’re serving up our new chef-inspired fondue and traditional brunch options like Alpine Benedict Cheese Fondue, French Toast Fondue, Avocado Fiesta Toast plus $2.95 mimosas. Reserve today and your first Mimosa is on us! 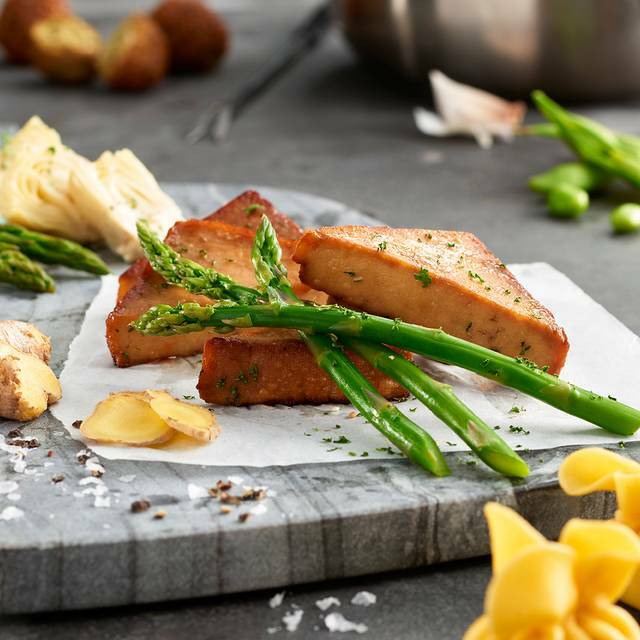 Show your mom that she really is the best this Mother's Day, by treating her to an exceptional brunch or dinner at The Melting Pot. We'll provide a queen for the day experience that she'll be sure to remember! All moms will receive a beautiful carnation. All moms will receive a tasty MOMosa. Join us for a festive Easter brunch Sunday, April 21 from 11am to 3pm. Bring your little ones to The Melting Pot to visit with Mr. Hoppy, between 11am-3pm! Our limited edition Easter Brunch menu will be available until 8pm. $21.95 PER CHILD* Three-course gala brunch! Wonderful time with our group of seven ladies! Exceeded expectations. I will be back! Thanks to our awesome server Ralph for happily taking approximately five thousand photos of our group. Ordering was a little confusing - I wasn’t sure if I had any options other than the four course meal, which seemed a little expensive. Food was good and experience was entertaining. Service was great. The table was dirty, the waiter was a little off (could have been an off night), drinks were late; however, the waiter let us split a meal and was accommodating to that request and we got seated on time. The food was excellent. I'll be returning to a different location and recommending a different Melting Pot location to friends and family. Fix the service and cleanliness and I'll reconsider, but I'm no longer going to experiment with Scottsdale's location. Not bad, but a little odd. You pay so much money to cook your own food. I understand that that is the point but it’s so expensive just for them to give you raw meat. It was not a good value for the price. At the time, there were children in there that were extremely noisy. We could not enjoy our visit. The beef was extremely seasoned with pepper and tough. My husband and I went for our anniversary. It was a perfect intimate little spot with an amazing food experience. On top of the experience, the food was delicious. Definately worth revisiting! I wanted to introduce my daughter to the restaurant where her father and I had had a couple wonderful dates, but we only went for the dessert course. There were plenty of things to dip, but very little chocolate to dip in. My daughter was disappointed. Also, though we had a reservation and there were few people there at that time, we weren't seated for a while. The server was nice, though. It was my wife’s birthday and we ordered the romance package. Everyone in terms of service was pretty good in my opinion. The downer of it all is the environment. The booth we got was tiny and felt a little old and out of style. The whole restaurant gave us impression. Not really the nice and fancy ambiance that I was looking for. Our family decided to enjoy a special meal to celebrate being on vacation and have always wanted to try The Melting Pot. We had a reservation, so they knew we were coming and the restaurant was only 1/4 th full. It took 20 minutes to be seated and 20 more minutes before we even got drinks...not from the bar...just soda and tea. Our cheese was made in 2 rounds because it was for 2 instead of 4 the first time. It was terrible. We were seated behind a pillar away from everything (the worst table there) so our waiter kept forgetting about us and every course took about 20-30 minutes to even start...not because we were still eating but because we were ignored/forgotten. Meanwhile, the few tables we could see were getting excellent service and completed their dining long before us, even some that started half an hour or so after us. The service, atmosphere, and entire experience were very disappointing. It was our least favorite and most expensive meal on our entire 7 day vacation. 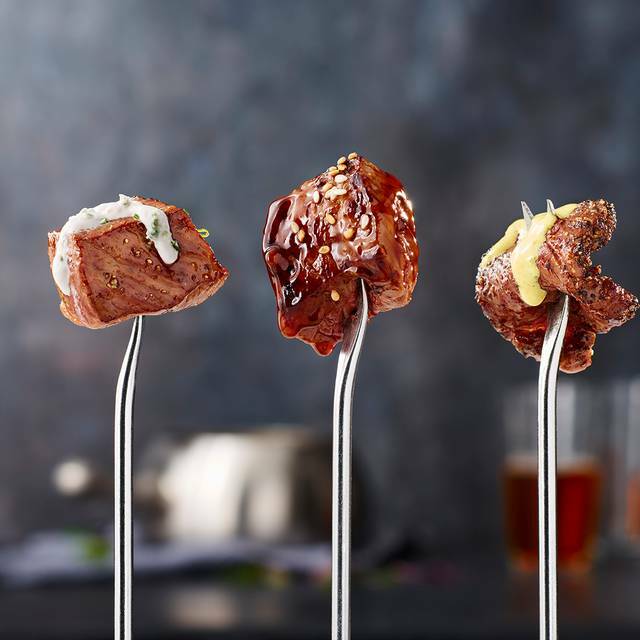 We now feel hesitant to ever try a Melting Pot again, even our local Colorado venues. It was no fundue! My girlfriends and I go to the Melting Pot to celebrate each of our birthdays, this has been a tradition for over 10 years. On this visit, the quality of the food was not the same yet the price had increased. I am sad to say on the next birthday (May) we will select a new restaurant. We had a great time . Our server Ralph was awesome. Our server was excellent, he had great knowledge of the Melting Pot experience, very attentive for drinks. Brought us unlimited vegetables and sauces. Meats and Fishes were delicious as always. Ralph was the server and did not listen to us, he had his agenda. He was loud and we felt like all his other tables were sitting with us. The "new" spicy nuts were awful, totally ruined the salad. The Fondue was a disappointment, as the veggies have included broccoli and cauliflower in the past . What happened to the baby pickles and the dry salami? My Wife dislikes tomatoes!!! Prices went up quality went down!!! We come to dine and relax and enjoy, Ralph had other things on his mind. He needs to stop saying "we" We are not dining together He was not invited!!! He has a very irritating way about him. This was not the experience we wanted. Everything from the service to food quality went down. We ask to speak with the manager and after 15 minutes of waiting we left. There were so many things that were “off”. We wondered if it was closing soon. For $$ I couldn’t recommend it to a friend. Service was horrible. Food was good but could have had just as good of food elsewhere. Considering the price it was definitely not worth it! We were celebrating our granddaughters 16 th BDay and called ahead to let them know. There was no recognition until we mentioned it. Service was average and very slow. Three and a half hours for dinner. We always have enjoyed the Melting Pot, but not this time. Dined here for weekend brunch. It was ok. The cheese fondue was just warm so when you dipped the chilled veggies and apples it ended up being cold food. The third course was chocolate and this was also cool. I don't think I will do the brunch again. The service was TERRIBLE the night we were there. The table was dirty and the waitress was less than accommodating. Drinks took forever to come and when we needed more vegetables and requested them they never came until the cheese was dried out! I wouldn't say the manager/host was rude; but I would say he was not warm, friendly, accommodating or helpful. He seemed annoyed we were even there. He never told us his name. CJ, our waiter, was DYNAMITE. He really made sure to check on us and deliver our special requests. We ordered balloons for that table. The balloons said happy birthday....it was no ones birthday, nor were birthday balloons requested. We ordered wine but couldn't get it because no one knew the price of the wine. Further, the wine (Clark & Telephone) retails for $40 to $50 dollars. The manager made up a price of $175 per bottle. OUTRAGEOUS. The manager never checked on us and the signature melting pot bathroom cloths were replaced with generic paper towels. I love the melting pot and have been going for years. Except for CJ this was not an up to par experience. Would have liked music other than jazz, or turn it down. We were there for brunch, which was fun, but my egg dish was cold when served. Slow service but good food. Really great service from Savannah. She was kind, warm and very attentive. Five stars all the way !! We usually have dinner at The Melting Pot when we visit Scottsdale. We brought friends with us for their first visit. Unfortunately, our waitress was not very pleasant or attentive, so sadly they did not enjoy dinner and neither did we. After the cheese fondue was gone she left the burners on and the cheese started to burn and smoke. Another waiter had to come turn the burners off and take the smoking pans away. The waitress didn’t return for a long period of time more than once during the meal. They don’t have a hostess that stays at the front, you have to wait for when someone periodically comes up front to get seated. I believe it was the manager that stopped at our table at the end of our meal and it was politely mentioned how the service went. We did appreciate seeing a small discount on our bill when it was rung up. We like having fondue and have enjoyed The Melting Pot but this location seems to be less enjoyable each time we come back. Very slow service, waited 15 minutes between courses. I busers, waitress had to do everything. Too small griddle for cooking for 4 Choice of veggies which came with our combo was very basic to say the least. Server was not knowledgeable about menu! No explanation re: price of cheese fondue; we were charged per person when we thought it was being shared as an appetizer 47.00$ for one pot of cheese fondue— absolutely ludicrous and it wasn’t even that tasty!!! 270.00$ bill and we had to cook this !! Our first and last time to go there! Totally a rip off!! Good! No more to say it was all good! Had a very nice time. I would recommend only 2 to a pot otherwise it's very slow. Our server was outstanding and made the food on point!!! Superb!! For serveral years the melting pot has been one of my favourite restaurants! Unfortunately it is very apparent that this restaurant is under new management! The services was extrememly poor and the girls phone was going off in her pocket the whole time she was at the table, not to mention the food quality has gone down and is simply not worth the amount of money you end up spending. Such a shame this really used to be a phenomenal restaurant that I boasted to friends about. Have been coming here on an annual basis when I’m in Scottsdale for the past 4 years. This will be our last visit. The service during our most recent visit was terrible and for the price point was at unacceptable levels. Our server was either overwhelmed and was given too many tables or simply was not well trained. Empty drink glasses, at one point almost 30 minutes with no presence in between courses. I had to turn off the heat plate after the main course because the oil was starting to smoke so bad that it was making us sick. This was because it took someone 30 minutes to stop by and see that we were finished. I think our server knew the service she was providing was poor, but never even apologized. 3 hours for meal. Waited long time for drink refills, had to ask twice to remind them. I don't care to pay that high of a price to cook my own meat. Which took forever since only to burners for 6 people. Not enuff food for dipping. We have been to many Melting Pot Restaurants in three states. The Scottsdale location was, by far, our least favorite. The atmosphere wasn't at intimate as we would have desired, the room way too noisy and too warm. Some of food wasn't very good. My lobster tail was rolled in some seasoning salt that ruined the delicate flavor. That was very, very disappointing. The mojo broth, too, was unpleasantly salty. Altogether, it wasn't the great experience we are used to. Fun way to dine with friends. I don't go here often but every time I do I find that the experience is enjoyable. I like everything from the decor to the dessert. It was my wife’s birthday and we decided to visit the melting pot for an evening of pleasant dining. The staff were very friendly and the ambience was very comfortable. Overall a very memorable experience.